Justice Suzan Okalany of the High Court in Kampala has warned lawyers representing former Lord’s Resistance Army commander Thomas Kwoyelo against absenting themselves from the case. Kwoyelo, who was at one time the director of intelligence and operations for Joseph Kony’s rebel group that terrorised Northern Uganda was arrested by UPDF in Central African Republic in 2009 and is set to be tried over crimes committed during the war. On Monday, the pre-trial session failed to kick off as expected after one of the defence lawyers Charles Dalton Opwonya told court that his fellow lawyers including Caleb Alaka and Evans Ochieng were not available to attend the proceedings. However, the judge said it was appalling that the case is being adjourned for the third time due to absence of the defence lawyers. “I am going to give a last adjournment and if you have the means, you can appoint new lawyers,”Justice Okalany said on Monday. The former LRA rebel commander told court it is appalling that he does not know any of the charges against him because none of his lawyers or his state has ever read them for him since his he surrendered. “I am not sure of what is going on. I don’t know whether the prosecution trying themselves or myself. I don’t know of any of the charges,” Kwoyelo told court through an interpreter. However, in response, the judge admitted that it is wrong for the accused to be in court and is not aware of the charges against him yet it is his right to know. She explained that all parties including his lawyers had been served with documents in relation to the case but said she was surprised that they had not explained to him about the charges. “If they didn’t give you a copy of the indictment, they are not good lawyers. Your issues are valid,” she said. Justice Okalany adjourned the matter to July 23 for the prosecution to start their submissions entailing the evidence against Kwoyelo in the pre-trial session. A pre-trial hearing is a meeting that occurs before a trial action begins. These are generally attended by the plaintiff, defendant, the judge, the lawyers, and sometimes other parties. Pre-trial hearings aim at resolving some of the legal issues before the trial begins. Justice Okalany after hearing from both sides will decide whether the evidence against the accused is enough to warrant his trial before the main trial kicks off in Gulu. Kwoyelo who was captured in 2009 from DRC faces over 90 charges in relation to murder, hostage taking , kidnap with intent to murder, aggravated robbery among others. 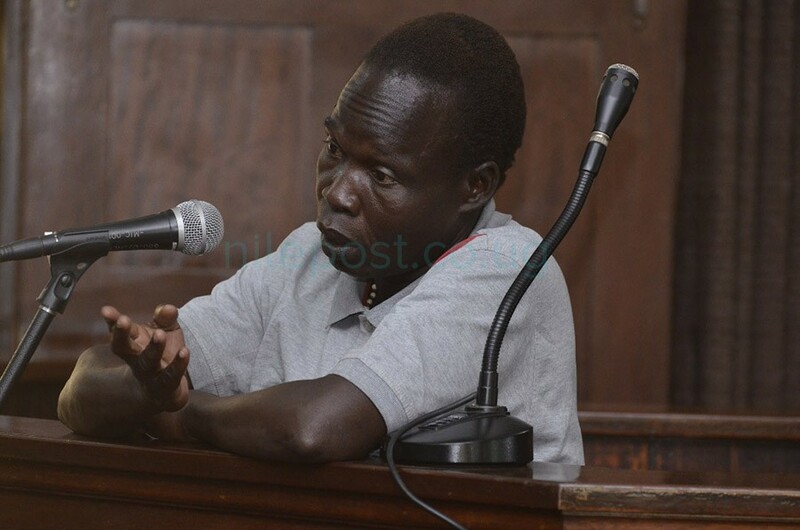 Prosecution alleges that between 1993 and 2005 in the present day Amuru district in Northern Uganda, Kwoyelo with others still at large being a commander of the LRA directed an attack to murder and kidnap civilians who were taking no active part in the hostilities.